A month ago, all was well. I was free, and at home. I could enjoy whatever wanted to whenever I wanted to. My blog was just about to reach my landmark goal of 100 thousand views total. That's when the dreaded thing happened. School started. A month ago, I was at 97,000 views. I figured that it was inevitable that I would reach my goal within a month. After all, I used to get around 10,000 views a month. How hard could it be just to get another 3,000? I was wrong. Within the past month, I have gotten only an additional 1,400 views. That is the worst monthly-view total that I have ever gotten since June of last year. So this is the worst amount I've gotten in over a year. This was very different than for July of this year, when I got an additional 15,000 views, my best month of all time. The first two years of my blog, (back when I just started using Google Blogger in 2014) are those tiny little bumps at the beginning. This year, my monthly views have increased tremendously overall, so those first two years are completely dwarfed by the huge size of the recent bumps. July 2017 was the highest point. August wasn't as good, at 12,000 (3 thousand less than the previous month), but was still decent. At the end, the line takes a huge crash, sort of like a stock market crash, only the scale looks a lot worse (and doesn't have to do with money). For the past few months, I would get daily views of 100-600 views a day. Guess how much I am getting now? 20 views a day. That is less than 3% of my previous average. You may be wondering why this has happened? 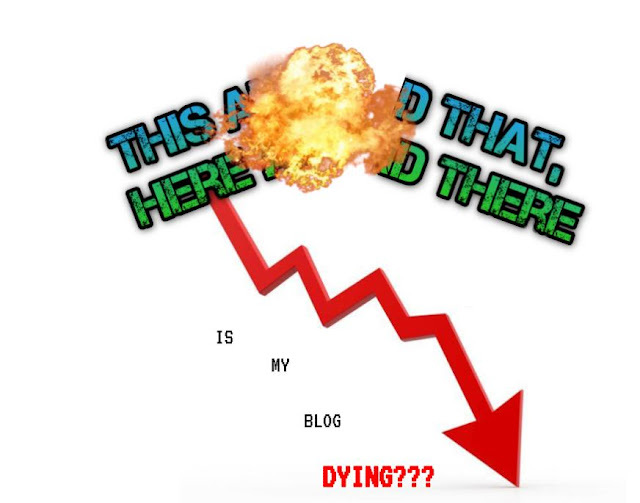 What has caused such a blog-pacolypse? How can I solve this problem, and increase the pace at which I gain views, so I can reach 100K views as soon as possible? The answer is simple: Post more often. The answer may be simple, but the task itself isn't simple to accomplish. School limits my time throughout the day. Even when I leave school every day, I come back every day for homework, which is basically an extension of the school day. On rare occasions (such as today), I get a chance to blog on a school day. Don't expect that to happen frequent. I will try to post during weekends. Don't expect much more than that for a while. Thanks for the support anyways!